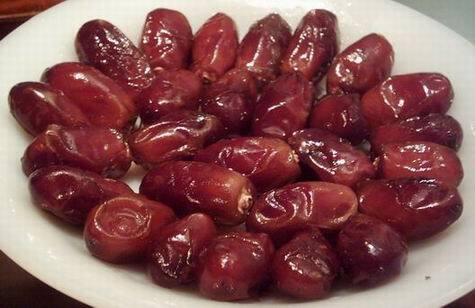 Dates are the fruit of the date palm. They are dark reddish brown, oval, and about 1 1/2 inches long. Date skin is wrinkled and coated with a sticky, waxy film. It is a great substitute for sugar. Benefits of Dates: Dates help a lot in preventing constipation.People with intestinal disorders have been advised to take dates. If you are very skinny and you want to put on weight, then take this healthy sweet fruit with milk. People with heart problems have also been advised to take dates on a regular basis. It helps to arrest diarrhoea. Dates have also been prescribed for sexual weakness. People suffering with abdominal cancer have also been advised to consume dates. Dates helps in good muscle development. Dates is a well-known remedy for alcoholic intoxication. Dates help in improving the digestive system. Dates also helps in reducing cholesterol. Dates is known to slow the process of tooth decay. "A healthy family is sacred territory."